In early 1861, men from Davidson, Dickson, Hickman, Humphreys and Robertson counties were recruited to Confederate service, prior to the vote for Tennessee to leave the Union. The 11th Tennessee saw action early in Kentucky and was among the first to see heavy fighting at Stone’s River. They later served in the Chattanooga and Atlanta campaigns where they suffered heavy losses. A lifelong resident of Nashville, Waddey received his Bachelor of Arts degree in Economics and Business Administration from Vanderbilt University in 1978. Shortly afterwards, he joined Northwestern Mutual, remaining with the company 32 years until his retirement in 2011. A longtime member of the Hillsboro-West End Neighborhood Association, Waddey currently serves on the Investment Advisory Committee for the City of Oak Hill, Tennessee. Writing on a regular basis, he publishes historical articles for the Williamson County Historical Society Journal and is a regular contributor to the Hickman County Historical Society Newsletter. His recently released history of the 11th Tennessee Infantry (CSA), “Forward My Brave Boys,” is published by the Mercer University Press. The event is free to the public. 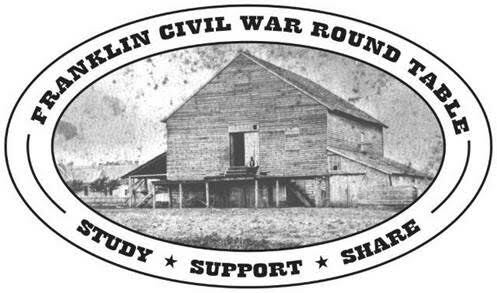 The Franklin Civil War Round Table is an educational program of Franklin’s Charge, and meets each month at Carnton Plantation’s Fleming Center, located at 1345 Eastern Flank Circle. For more information, email fcwrt@yahoo.com, or visit franklinscharge.com/round-table.